"I can't keep shrinking indefinitely!" "Why not?" said Pons, who hesitated to pronounce those terrible words. "Instead of thinking of yourself as shrinking, imagine that you're moving away!" "Going away, then," Fléchambeau traced. "Yes, going away without moving!" "And without any hope of return!" 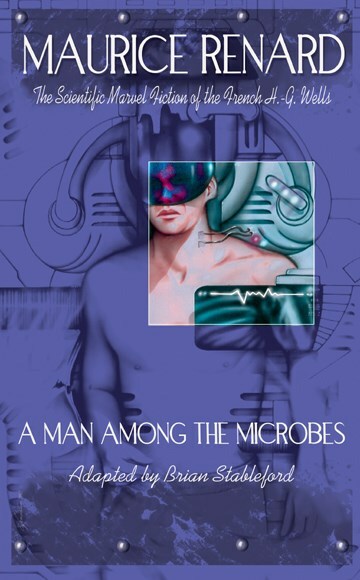 A Man Among the Microbes (1908) features an "incredible shrinking man" who, through miniaturization, reaches an inhabited micro-world where he meets scientifically-advanced aliens. This volume also includes The Motionless Voyage (1909), a story about an experimental anti-gravity flying machine.